What Causes a Crack Overdose? In emergency medical treatment for substance use, crack cocaine overdose is second only to alcohol-related problems. Crack's brief intoxication and highly addictive nature lead to significant health crises as users continually dose over extended periods. Symptoms of a crack overdose typically occur abruptly after use, although there are instances of delayed signs and symptoms occurring 1-2 hours after use. Consequently, immediate medical assistance is required. Fatalities can occur with all types of use including first time, infrequent, heavy and chronic use. Faint or excessive pulse rate. Intentional and unintentional self-harm can occur, as well as injury from altercations and death due to homicide. Bystanders, emergency responders, as well as caregivers, are at risk for assault. Ingestion or injection of crack occurs, but is rare. Smoking is most common due to the rapid and potent absorption of cocaine that can induce intoxication within seconds. 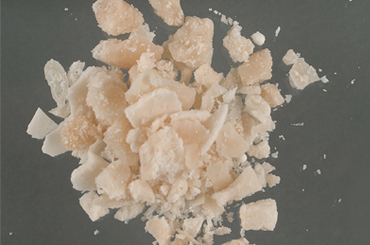 Crack is a mixture of cocaine and other ingredients that make it smokable. The additives also 'stretch' the cocaine (induce a longer lasting high) and increase a dealer's profit. Since it is illegal, ingredients and doses are not regulated and no user guideline for dosing exists except word of mouth from other users and dealers. Crack is highly addictive. The desire for more frequent use and greater amounts increases quickly, resulting in binge use. Overdose risk is high as binge users endeavor to stay intoxicated without diminishing effects or attempt to recreate the 'best high' they have ever had. The chances of any overdose dramatically increases when more than one substance is used at a time. Adverse drug interactions can occur. Additionally, the strength of each drug taken can be potentiated by others, in effect 'increasing the dose' of all through their interactions. Poly-drug use also can induce extreme intoxication in which judgment is impaired, creating the opportunity for other risky endeavors, like needle sharing, unprotected sexual activity and violence. There is evidence that cocaine users with unresolved trauma histories are at risk for severe, chronic use and consequently overdose. Those who were sexually abused in childhood are particularly at risk. The nature of such trauma is pervasive, severe and chronic. Some report that cocaine use helps reduce the distress of flashbacks, intrusive thoughts and distressful memories, which occur in PTSD. Such situations should be considered life-threatening events that warrant a 911 call for help or immediate access to an emergency room. Psychiatric symptoms of overdose are also medical emergencies due to the potential for harm to self or others. 911 can dispatch paramedic and police assistance to protect the user and others. Get Help Today Find a treatment center to help you with your crack addiction. The nature of crack cocaine makes any use dangerous. Its ingredients are unknown to the user, as is their quantity and potential for toxicity. Word of mouth from other users and dealers is the only 'authoritative' information about 'appropriate' use. Discontinued use, treatment and a relapse prevention plan are the best ways to avoid overdose. Efforts to reduce or stop use on your own is dramatically less successful than obtaining the support of treatment professionals. Psychological and environmental triggers to use crack can sabotage self-motivated measures for stopping use. Getting treatment and support to develop coping strategies for abstinence is recommended. If you are worried about problematic crack use patterns in yourself or someone else, please call 1-888-993-3112Who Answers? to get help today and prevent negative consequences such as overdose. Treatment for a crack overdose depends upon the severity of overdose symptoms. Respiration and heart functioning are primary concerns with prolonged and strenuous resuscitation efforts. Overdose victims are also prone to blood sugar crises and this is monitored as well. Sedatives are frequently used for psychological calming and de-escalation of elevated vital signs. Injections and IV therapy are common as are cooling methods for the body. Crack overdose can result in serious and chronic damage to the body such as stroke, heart attack and kidney failure. Due to the psychotic perceptions, fear and panic overdose victims typically feel, some overdose victims may require physical restraints to protect themselves and care providers. Sedatives are preferred since forcible restraint increases agitation and may cause increased body temperature, heart rate and blood pressure. With proper treatment, crack toxicity can be relatively short-lived once critical physical issues are managed. Emotional and psychological distress can be severe and continuing, however. It is typically addressed through monitoring, support and reassurance, but can require psychiatric care if severe or persistent. The most successful recovery from a crack overdose includes treatment to address the addiction itself. Inpatient or residential addiction treatment programs provide therapeutic settings in which to develop skills necessary for a substance-free life. Respite from the usual psychological and environmental triggers to use in one's daily life is beneficial, allowing one to stabilize physically, emotionally and psychologically. Also, cognitive deficits incurred by use can improve with sustained abstinence and support offered in the 'drug-free' environment of a treatment center. Physical complications from an overdose may require medical follow-up and/or rehabilitation services. Persisting psychiatric symptoms may require dual diagnosis services in which addiction and mental health issues are treated simultaneously. Finally, support during transition back to the community and outpatient follow-up for all needs is necessary. If crack overdose occurs, it is most likely a combination of biological factors, environmental influences and psychological difficulties. Ongoing treatment is required to assess these elements together, so that your safety can be ensured in the long-term. For more information on crack overdose treatment and recovery options, please call our toll free line at 1-888-993-3112Who Answers? today. Afonso, L. (2007). Crack Whips the Heart: A Review of the Cardiovascular Toxicity of Cocaine. American Journal of Cardiology, 100 (6), 1040 - 1043. Aharonovicha, E., E.Nunesa, & Hasin, D. (2003). Cognitive impairment, retention and abstinence among cocaine abusers in cognitive-behavioral treatment. Drug and Alcohol Dependence, 71(2) , 207-211. Bornovalova, M., S. Daughters, G. H., & J. Richards, C. L. (2005). Differences in impulsivity and risk-taking propensity between primary users of crack cocaine and primary users of heroin in a residential substance-use program. Experimental and Clinical Psychopharmacology, 13(4) , 311-318. Cunha, P., Bechara, A., Andrade, A. G., & Nicastri, S. (2011). Decision-Making Deficits Linked to Real-life Social Dysfunction in Crack Cocaine-Dependent Individuals. The American Journal on Addictions, 20(1) , 78-86 . Falck, R., Russel, S., Wang, J., Siegal, H., & Carlson, R. (2004 ). The prevalence of psychiatric disorder among a community sample of crack cocaine users: an exploratory study with practical implications. Journal of Nervous and Mental Disorders, 192(7) , 503-7. Katz, A., & Hoffman, R. (1993). Phenytoin toxicity from smoking crack cocaine adulterated with phenytoin. Annals of Emergency Medicine, 22(9), 1485-1487. Lejuez, C., Bornovalova, M., Reynolds, E., Daughters, S., & Curtin, J. (2007). Risk factors in the relationship between gender and crack/cocaine. Experimental and Clinical Psychopharmacology, 15(2) , 165-175. Levine, S., Brust, J., Futrell, N., Ho, K.-L., Blake, D., Millikan, C., & Brass, L. (1990). Cerebrovascular Complications of the Use of the Crack Form of Alkaloidal Cocaine. New England Journal of Medicine, 323, 699-704. McDermotta, M., Tulla, M., Gratza, K., Daughters, S., & Lejuez, C. (2009 ). The role of anxiety sensitivity and difficulties in emotion regulation in posttraumatic stress disorder among crack/cocaine dependent patients in residential substance abuse treatment. Journal of Anxiety Disorders, 23(5), 591-599. McGinty, J. (1999). Advancing from the ventral striatum to the extended amygdala: implications for neuropsychiatry and drug abuse. Annals of the New York Academy of Sciences, 877, 507-522. Nnadi, C., Mimiko, O., McCurtis, H., & Cadet, J. (2005). Neuropsychiatric effects of cocaine use disorders. Journal of the National Medical Association, 97(11), 1504-1515. Reinarman, C., & H. Levine, e. (1997). Crack in America: Demon Drugs and Social Justice. Berkley, CA: University of California Press. Russel, S., Falcka, J., Wang, R., Carlson, M., & Siegal, H. (2002 ). The Prevalence and Correlates of Depressive Symptomatology Among a Community Sample of Crack-Cocaine Smokers. Journal of Psychoactive Drugs, 34(3) 2002 281-288, 281-288. Sclafania, V., M.Tolou-Shamsb, Pricec, L., & Feina, G. (2002). Neuropsychological performance of individuals dependent on crack-cocaine, or crack-cocaine and alcohol, at 6 weeks and 6 months of abstinence. Drug and Alcohol Dependence, 66 (2), 161-171. Treadwell, S., & Robinson, T. (2007). Cocaine use and stroke. Journal of Postgraduate Medicine , 83, 389-394 . Wallace, B. (2012). Crack Cocaine: A Practical Treatment Approach For The Chemically Dependent . NY: Routlege.